Friendship. We appreciate the friends that we have and have always known, but as we grow older and have the chance to make new friends, we realize that it’s sometimes nice to make friends with people that are similar to you. This is especially true as parents. As an LGBT parent, it’s sometimes nice to have friends that are also LGBT parents whom you can get advice from. As a single parent, there’s just some things that your two-parent household friends might not be able to relate to. The same can be said for interracial parents, parents with adoptive children, and any other type of modern parent. But where do you find parents like yourself that you can make friends with? It can seem like a daunting task for parents to meet other parents that are similar to themselves and their family. But just because it’s daunting, doesn’t mean it’s impossible. 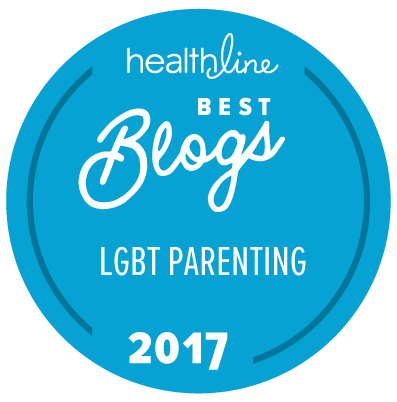 So if you’re an LGBT parent, single parent, multiracial parent, parent with adoptive children, or any other type of modern-day parent, check out these suggestions on ways YOU can meet parents just like you. If you haven’t heard of Meetup.com, congrats, your life is about to change. Meetup is an app and website that allows individuals in a city to join a group of which they might identify with. Groups range from those who like to look at art in museums, to single women groups, to sports enthusiasts, to spiritualists, to, yes, even parent’s groups. These groups host events for members to attend in their city which may be as simple as going to happy hour or even as complicated as a weekend getaway trip. Each city has their own individual meetup groups and once you sign up for the website or download the app you can search through these groups. Just to prove how Meetup is a wonderful tool to meet parents like yourself, I searched Meetups in Dallas, Texas, (known for its conservatism) and found Meetup groups for (many) single parents, special needs families, military families, groups associated to parents of different races, fathers, parents who home school their children, parents with adopted children, blended families, divorced parents, and YES, even a Gay Dads Meetup group! Meetup is found all across the world, though it is true that there will be more diverse parent groups in larger cities. However, the cool thing about Meetup is that if there isn’t a group that reflects your family, YOU can create a Meetup group and watch others join it. Social media is a wonderful tool to meet other parents like you. Did you know that there are Facebook groups all over the U.S. that are specified by parent-types? You’re a NorCal LGBT mom? Check out Rainbow Moms NorCal (though you’ll have to be approved since it’s a closed group). Live in Seattle? Check out Family Queerest on Facebook. Just a quick Facebook search of groups pulls up a Gay Fathers group, an Orlando Gay Parents Group, Parents Support of LGBT Teens, and many more! It wasn’t hard to search for other parent groups on Facebook. They can be as broad as “Gay Parents” group, to as specified as “Tuscon Foster and Adoptive Families” group. It’s safe to say, that there is probably a Facebook group for you! And don’t just stop with Facebook groups. Check Twitter too! I’ve known people to make friends off of Reddit so who’s to say that’s not a great option too! Better yet, if there isn’t a group yet, create one. It’s free. And it can attract parents and families like yours of which you might form everlasting friendships with. Children’s Events, Sports, Groups, etc. A very underrated way for parents to meet other parents similar to them is to use their children – in a positive way of course! If your local library is having a children’s book reading, take your children to the reading and see if there is a parent just like you bringing their kid to that meeting too. And then go make friends! Get your child involved in sports, music, classes, local events, or groups that you think would attract a parent that would have a similar type of family. Think of it this way – if it caught your attention, might it not catch the attention of a parent just like you? The upside to this strategy is that your children are staying active by going to events and being members of groups or teams where they too might meet kids from families that are just like theirs. They say the quickest way to get the word out is by word of mouth, and sometimes that can be true! When trying to look for parental friendships with parents like you, call upon your network of friends, family, and co-workers to help out. Ask your friends if they know any other single dads in the area. Ask your mom to ask her friends if they know of any multiracial families that live nearby. Ask your co-workers if they know any other single, divorced parents just like you that might be interested in grabbing a coffee. You might be surprised how well this works! All in all, there are ways to make new friends with parents that have families just like yours, and if you need an easy place to start, check out The Next Family’s social media accounts. We have a national (and somewhat international) following that just might contain your next friend.